Matt qualified from the Royal Veterinary College in 2008. He cut his teeth working as mixed animal vet in Devon for 3 years before returning to his home town of Blandford to join the farm team at Damory and pursue his love of production animals. 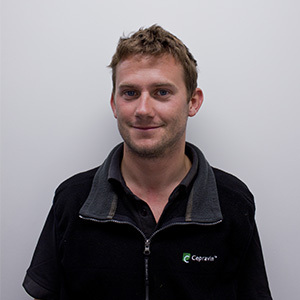 Matt has a special interest in mastitis control and is a registered deliverer of the DairyCo Mastitis Plan. He also has an interest in suckler herd management and has formed the Damory suckler herd discussion group which meets biannually. Outside of work Matt will either be found enjoying the Purbecks or on the sea racing his sailing dinghy, as well as plenty of running and swimming to keep fit for it!